Home » Olympics, Shmalympics: Forget the Athletic Gear. I Want Chelsea Boots. Olympics, Shmalympics: Forget the Athletic Gear. 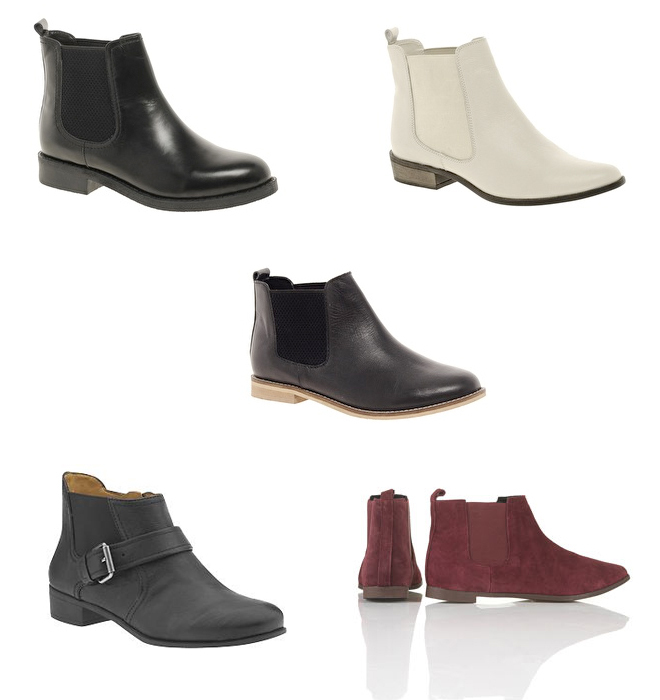 I Want Chelsea Boots. You could plaster yourself in the Union Jack, or suddenly start wearing “trainers,” or otherwise make some sartorial nod to the fact that people will be performing amazing athletic feats in England next week. Here in Los Angeles that seems silly, but all the chatter about London did get me thinking about Chelsea boots, and the fact that I don’t have any. L.A. is just about the only place that’s had boot weather all summer. Everyone wore boots to Coachella in the spring, and they never stopped. So that is why I’m thinking about boots in July. It’s odd, but stay with me here. Chelsea boots will certainly get some use everywhere else in a month or two, and you can always blame your purchase on Olympic fever. These are all leather, and all under $100.